Progressive constitutional democracies from around the world are anchored on certain fundamental values and principles which include separation of powers and accountability. 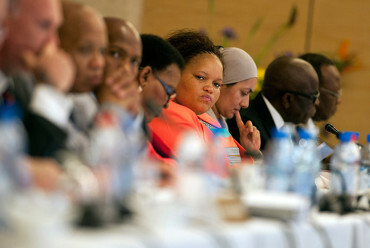 South Africa is regarded in certain circles as a model of constitutional democracy, especially for many African States. This view is not without a valid basis. Notwithstanding a myriad of challenges confronting it, South Africa has done well in so far as establishing strong institutions of the state is concerned. And this has paid some significant dividends for the country’s democracy. 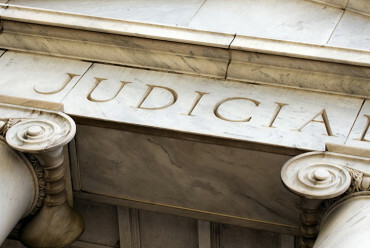 For instance, the judiciary is one state institution that has been able to exercise a relatively strong degree of independence, checking against excesses especially by politicians in the executive and legislative branches of government. The judgments on state capture, abuse of public funds and protection of fundamental rights are some of the towering examples of the good work done thus far by the South African judiciary as an institution of the state. 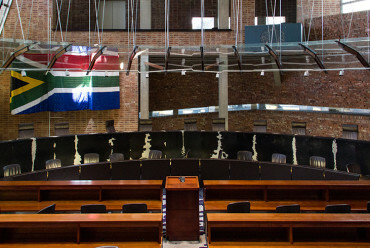 But it is also necessary to acknowledge that the South African judiciary is facing some teething challenges which if not resolved, could undermine the ability of this branch of government to continue fulfilling its functions in the future. 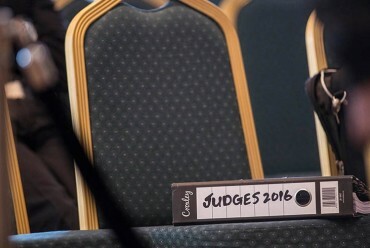 Some of these challenges include extra-ordinary delays in the appointment of permanent judges to fill vacancies in the Constitutional Court, the uneven questioning of candidates during interviews for judicial appointments (which may have already pushed some competent potential candidates to shy away or withdraw from participating in the judicial selection process), recommendation for judicial appointment of certain candidates who seem to lack adequate experience, extra-ordinary delays in the finalisation of disciplinary proceedings against certain judges and a weak (two page document) policy regulating the appointment of acting judges. These issues and challenges should be debated and addressed. However, this cannot happen if those who are tasked with the mandate to deal with these issues and challenges are not being held accountable or are themselves failing to account. Accountability, on its own, is not a panacea for the challenges facing the judiciary but it is a necessary step towards the resolution of these challenges. For instance, accounting may lead to a discussion which has potential to generate solutions. Accountability also helps to check against such evils as dereliction of duty and thus is a necessary mechanism for ensuring good governance in institutions of the state. 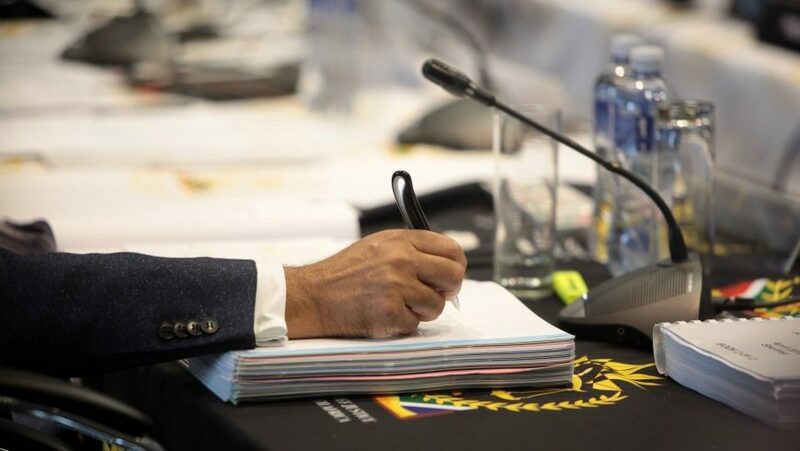 In essence, this Act requires the JSC to submit a detailed report to Parliament (each year), accounting on matters such as those mentioned above – relating to the appointment and disciplining of judges. It is however worthy to note that, as far as we can tell, the last such report submitted to the Parliament by the JSC was in 2007 and no report has been submitted to Parliament since then. The last three reports were in 2004, 2006 and 2007. 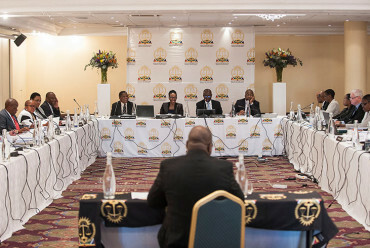 The Parliamentary Portfolio Committee on Justice and Correctional Services has made similar observations in its 16 May 2018 Report where it noted that: “The Committee also queried if the Judicial Services Commission had tabled a report of its activities in Parliament (as required by the enabling legislation) and recommended that the report be tabled as a matter of urgency.” This inquiry and recommendation was made during the portfolio committee’s debate on the 2018 budget allocation to the Office of the Chief Justice (OCJ). 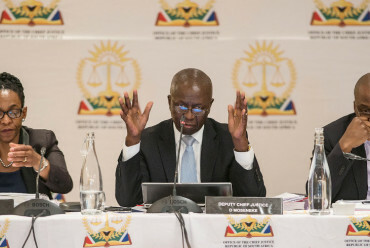 In the same report, the parliamentary portfolio committee notes that it “request[ed] a meeting with the Chief Justice and Heads of Court to discuss court performance, and identified issues of mutual interest.” It also recommended that “the [JSC] report be tabled as a matter of urgency.” It seems that the report is still yet to be tabled. The JSC should submit its annual reports to Parliament as required under the JSC Act. The significance of these reports, as medium for accountability, cannot be gainsaid. On the basis of the information contained in these reports, Parliament can request the JSC (and other stakeholders) to account on how some of the challenges described above will be addressed. 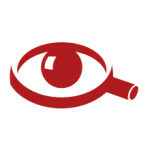 For instance, Parliament [and any other interested citizen who gets to read the reports] can ask the JSC to explain why there are extra-ordinary delays in the filling of vacancies at the Constitutional Court and what is being done to fill those vacancies; why there is a two page policy document regulating the appointment of acting judges and why there seems to be uneven questioning of candidates during the interviews. No doubt these questions are being debated in other forums (including civil society, universities and community meetings) but it is important that they are discussed in Parliament (itself a national platform) so that the JSC can outline to the nation its commitment towards resolving these challenges, which if not addressed could bring about serious negative consequences upon our democracy. The Office of the Chief Justice has announced that Chief Justice Mogoeng will present the Judiciary Annual Report at the Constitutional Court on Friday, 23 November 2018. Read the full Press Statement here: Chief Justice Mogoeng to address stakeholders on the occasion of the presentation of the judiciary annual report, 23 November 2018.